When booking your trip to the whitewater rafting in Bali, some things are important to consider before throwing your lifejacket, take your paddle and head down the river. You will have a pleasant experience and unforgotten memories by taking your time to search. Next to Ayung River in Ubud, white water rafting at Telaga Waja River is also one of the best choice for you who love adventuring holiday. Need information about it, read below. 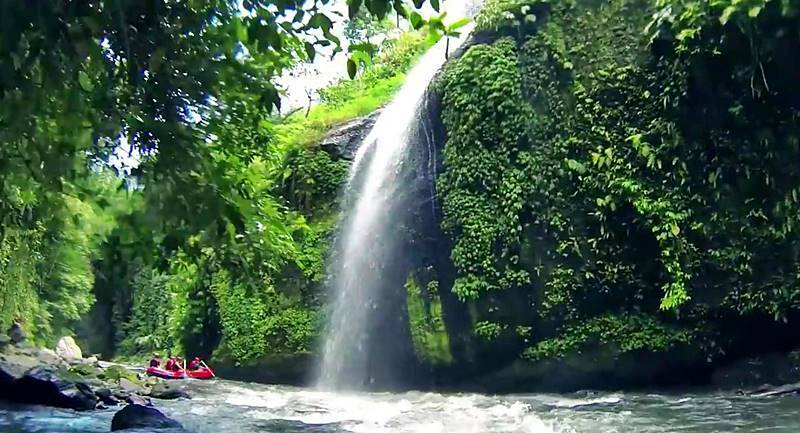 Telaga Waja is the name of a river that located in Karangasem Regency. It’s in eastern side of Bali island. It is the second longest river in Bali, after the Ayung River. The river surround by rice farm, plantation, forest, and green natures. There are some waterfall along the river. The water is clean and fresh, flow with medium to high level. There also many rock in the river and in the riverside. Those rock made the flow looks beautiful. 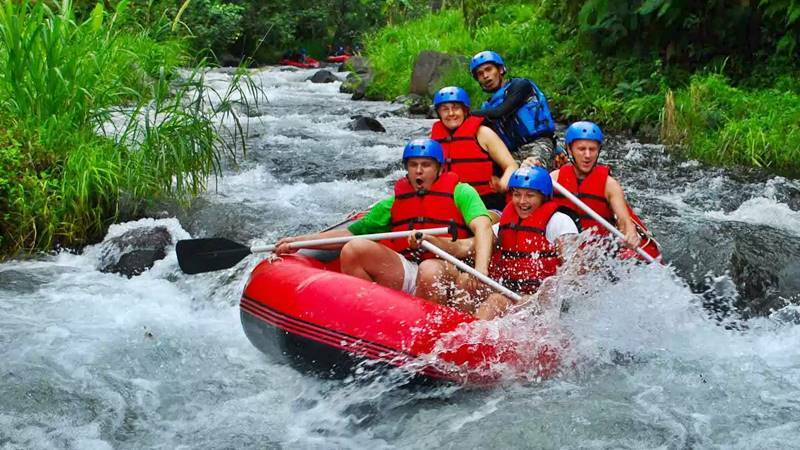 White water rafting in Bali at Telaga Waja can do along 16 kilometers of the river’s length. This route has flow and height variation. Doing rafting in Telaga Waja river can be an unforgettable experience. How To Get To Telaga Waja River? Telaga Waja located in eastern side of Bali island, so that to reach this place from Kuta or Sanur will takes time. But the location, the river, and the experience will be worth it. It’s can reach from main road, so cars can use to visit Telaga Waja. The rafting starting point located not far from welcoming office. Visitors can leave the vehicle in parking area, then walk for a while to the starting point. In the starting point, visitor can see the human made waterfall from the dam. What To Expect In Telaga Waja? Telaga Waja river become the longest rafting route in Bali. It has smooth flow, medium, and hard flow. There also two waterfall that can pass by the boat. But only one usually use for rafting. The first waterfall will only pass by the boat. The passenger could walk in the riverside, because the waterfall is too steep. The second waterfall less steep, so that the passenger can pass it. The route with many variation will pump adrenaline. It also invite joyful feeling and recommended for refreshing. Seeing the green view around, the waterfalls in the riverside, the friendly faces of the citizens, will make visitors feel warm and welcomed. Watersport mostly safe, because the company will serve safety equipment to protect the passengers. Helmet and live vest should wear along the rafting route. Helm help protect head from anything that fall from above or when head hit something hard. Live vest can help the passengers float if they fall from boat. This also could be the saver for those who can’t swim. That’s why rafting can do by people who can’t swim. As it watersport, white water rafting in Bali at Telaga Waja shouldn’t do in hard rain situation. The risk of extra waterflow that can be dangerous for the passengers is too big. If you find this condition in your schedule, you better delayed your plan or cancel it. It will be safer to do this watersport in dry season. At dry season, the flow is normal, so that passenger can enjoy the adventure. This location can reach after nearly 2 hours trip from southern cities of Bali, like Kuta and Sanur. Prepare your energy and time to pass this long trip. The road mostly good, but it takes time if you stay in those city for holidays. To save energy, find car rent that serve driver, too. Some rafting company also serve pick up service. This will be helpfull and save your time. After the long trip, the beautiful view is there. The starting point can reach on foot and located not far from the lobby. It has +16 kilometers route that can takes 2,5 hours to finish. It will earn much energy. Prepare yourself with enough meals before you do this activity. The company will serve meals in the finish line, but there will be no snack along the river. Prepare dry clothes for change after the watersport. Prepare medicine or other personal need if you has personal health problem. It’s better to do this activity in groups, so that if you got health problem, they know you. Make documentation of your adventure and share it with others on your Instagram or Facebook. It will helpful to those that interesting with this rafting, but has doubt. Some company serve documentation package, but you may has your own style. White water rafting in Bali at Telaga Waja is interesting and safe, as long as the passenger follow the directions from the guide. 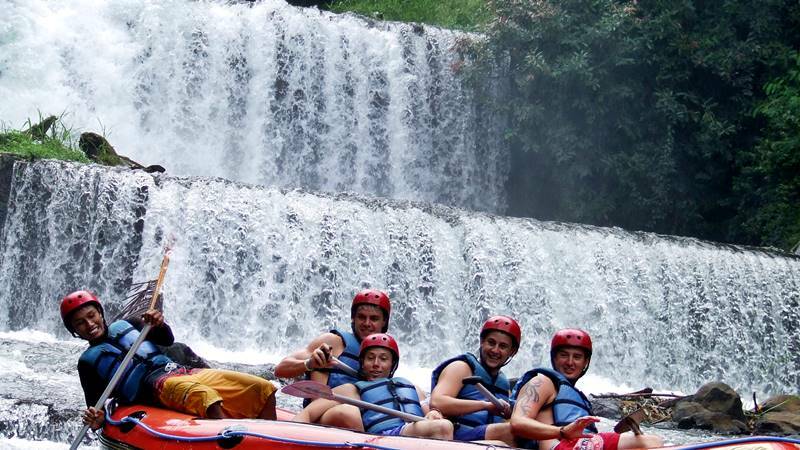 Let participate in a thrilling whitewater rafting experience along the Telaga Waja River.